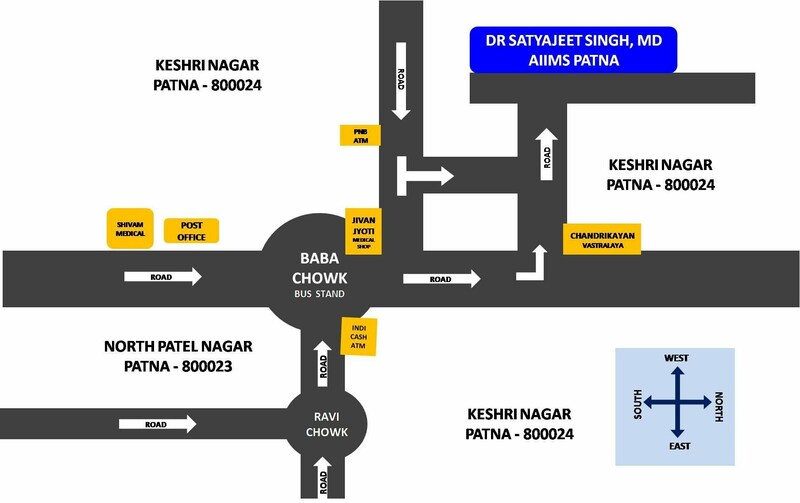 Dr Satyajeet Singh, MD, AIIMS Patna Neuropsychiatrist (ex) is located in the heart of the city Patna. 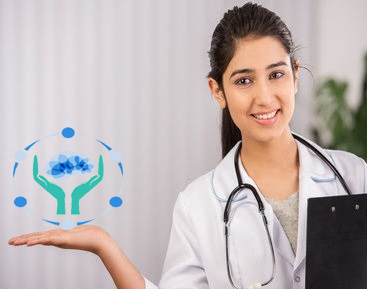 Our clinic is easily accessible and well connected through roads from all prominent location of the city. You can walk through or drive to our clinic by using public transport vehicles or own private vehicles according to your convenience. What only needed is to reach Baba Chowk, Keshri Nagar. Keshri Nagar is a small but popular locality lying north of North Patel Nagar. Its pin code is 800024. An important land mark to find our clinic is Baba Chowk Bus Stand, an popular place as it has a bus stand & a busy market place called Baba Chowk of Keshri Nagar. For those using public transportation, City Yellow Buses carries passengers from all prominent location of Patna to Baba Chowk Bus Stand. For those coming from other city using railway, need not to worry. City yellow buses of Baba Chowk, Keshri Nagar, can be easily spotted at nearby bus stand ( just in front of popular temple Hanuman Mandir ) of Station Road. Or you can hire an auto to reach us by giving address detail of our clinic to auto driver. We are at within walking distance from Baba Chowk Bus Stand, Keshri Nagar. Our clinic is about 150 meters away from Baba Chowk. After reaching Baba Chowk Bus Stand, ask for nearby Chandrikayan Vastralaya ( a cloth shop). Every half an hour, city buses provide services to Baba Chowk Bus Stand from all prominent location of Patna. On arrival to Baba Chowk, Keshri Nagar, often people find difficulty reaching our clinic. This diagrammatic map will be great help for them. Baba Chowk Bus stand is a prominent landmark near our clinic. try to find it first.